MotoAmerica Round 4 Recap from Wisconsin's Road America which took place between June 1 - 3, 2018 at the famed Elkhart Lake racetrack. 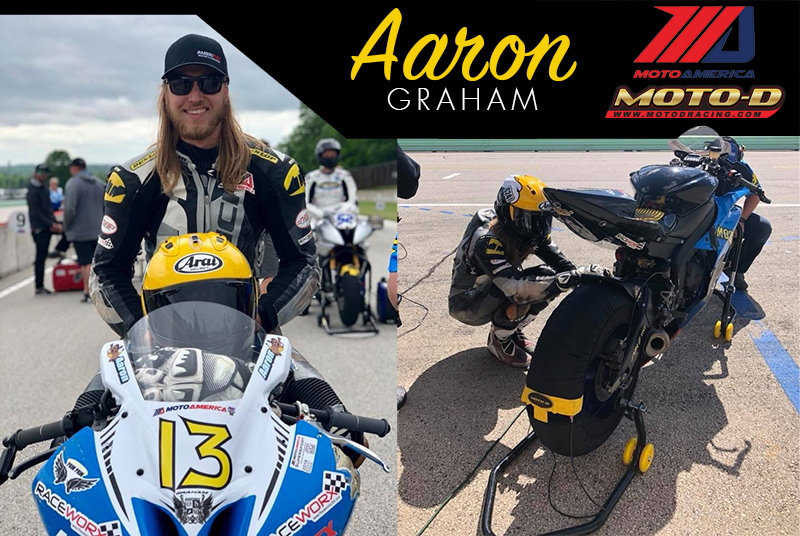 Altus Motorsports Supercharged Team rolled into Road America for round four of the MotoAmerica Dunlop Championships. The Altus team arrived into Road America poised and ready to do battle. “The two week break gave us much needed time on the dyno, we are definitely gaining ground on the competition, said “George Nassaney, Team Owner. Altus Motorsports Supercharged Team fields riders in Supersport, Twins and Junior Cup classes. Miles Thornton #72 qualified 8th on the long winding Road America course with a fast time of 2:21:20. Saturday’s race Thornton battled in a group of five riders fighting for 5th place which Thornton ended up finishing 9th. Sunday’s race the weather was overcast cloudy and bit cool Thornton and his Suzuki GSX-R600 ran his fastest lap of the weekend with a time of 2:20. Thornton finished 10th on Sunday. Thornton is sitting respectably in 10th in points going into Laguna Seca for round five, Altus Motorsports Team anticipates greater success. Jaret Nassaney #59 roared into Road America with great expectations fresh off graduating from Aviation School. 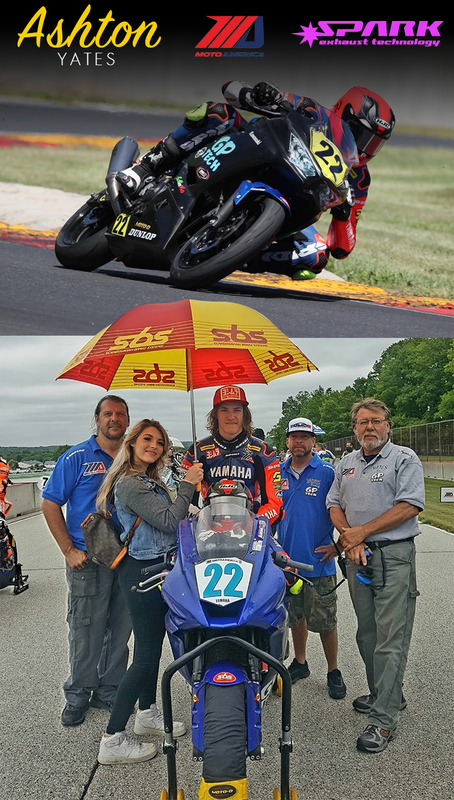 Jaret loves the fast Road America course and it showed, Jaret worked his Suzuki GSX-R600 from 22nd to 15th on Saturday, his best MotoAmerica Championship race to date. Sunday’s event did not shine any good luck on Nassaney, Jaret lost a footpeg early in the race which slowed his speed considerably finishing 22nd. Liqui Moly Jr Cup rider Draik Beauchamp #77 qualified 12th at Road America on his Yamaha R3 besting more than half the field. Beauchamp competed hard all weekend looking for a season’s best finish. Beauchamp raced consistently all weekend finishing 14th on Saturday and 12th on Sunday. Altus Motorsports Suzuki Team is supported by our great family of partners. Suzuki, Supercharged Natural Sports Drink, Tucker Rocky, Conquest, Arai, MOTO-D, Bonamici Racing, Taichi, MotoLiberty, AP MotoArts, K-Tech, Ohlins, Hot Bodies Racing, SBS, Sidi, M4, Spark Exhaust, Wilmes Chevy, and Velocity. 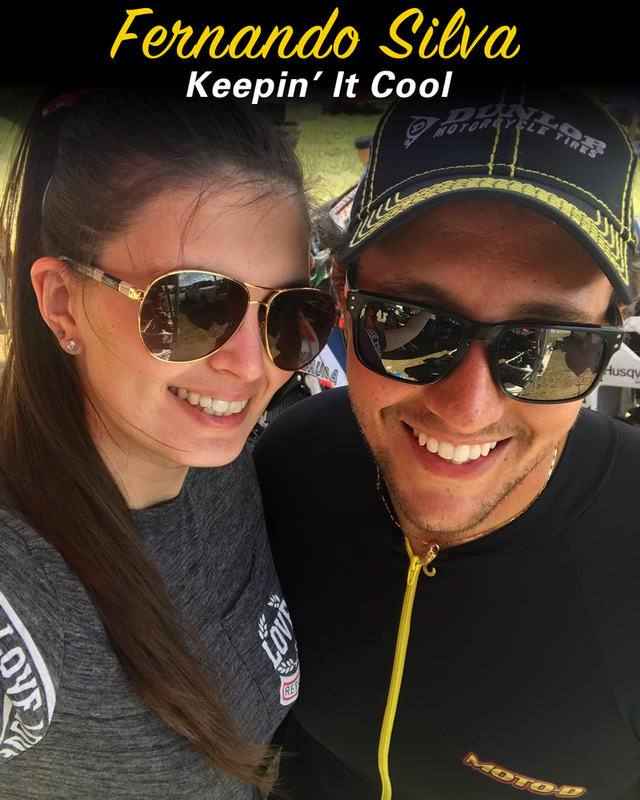 Cameron Jones out of Columbia, MO competed on the new 2018 Kawasaki 400 in the Jr Cup and reported a weekend filled with "some ups and downs". According to Cameron "Wound up with a 6th place qualifying position. Had a good battle with a group of riders (on Saturday) and on the last lap I made 3 passes to bring home a 7th place finish by .020 and .037 at the line. That lap landed me the third fastest lap of the weekend of a 2:45.1. I felt great on the bike as we finally have it really dialed in after a rough start to the season. Made a few changes on Sunday and I knew I had the pace for the front but unfortunately it wasn’t meant to be. In the first lap as I went to make a pass into turn 12 I had an issue with my brakes. When I grabbed the brake the bike barely responded. I did everything I could to get it slowed down enough and as we made the turn I collided with another rider which took us both out. We’ll be regrouping and heading out to Laguna Seca for the next round in a few weeks! 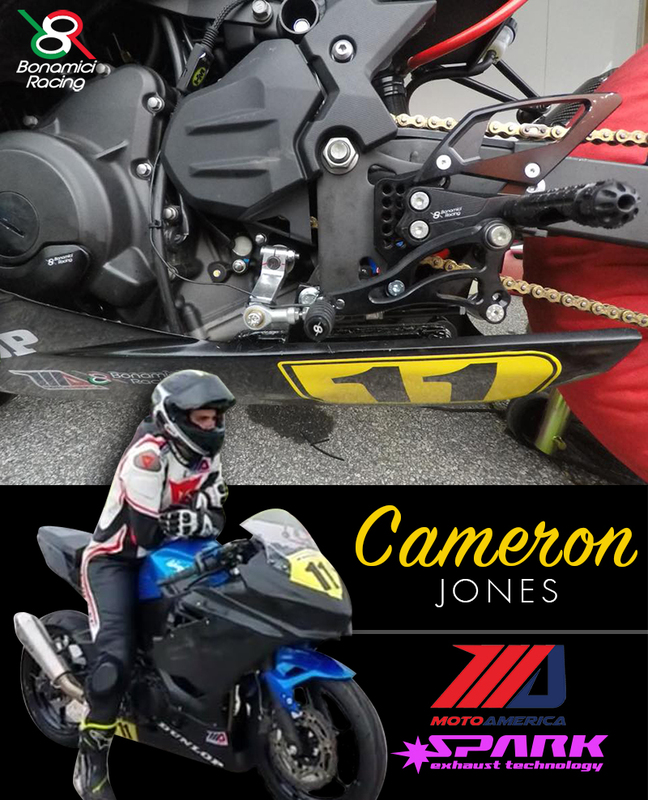 Cameron Jones would like to thanks Jones Honda, MOTO-D, Spark Exhausts, & Bonamici Racing for all your support!" "Let’s jump out of the gates and get this race report rollin", said Aaron Graham of MotoHana Racing. "Road America is a wonderful track. It’s fast and it’s flowing and it’s a great place to get “sendy” as JC Camacho says. The track is grippy where you need it to be grippy, and smooth where it needs to be smooth, and just bumpy enough to have to make some suspension adjustments. Overall, definitely one of my favorite tracks, and a fun weekend. Saturday morning turned out to be cool and damp with mist falling during qualifying, but that didn’t stop me from improving my times from Friday, and putting in a decent lap. However, I was only able to qualify in 21st position, but I was feeling strong, none the less. Race 1 was a fight the entire race. Swapping position lap after lap, turn after turn with two other riders. The three of us worked our way up to fight for 14th position, but not doing each other any favors, of course. On lap 8 of 11, I decided I’d had enough and started getting aggressive to get passed the other racers. I got a little careless while attempting to show a wheel on the outside, and ended up in the gravel with a lap and a half to go. I walked away unharmed and in good spirits because of the valuable experience gained, and the fun I’d had. Race 2 looked like great weather, but then rain as I put my leathers on. It cleared before the race start, but definitely had us frantic. I was a little distracted at the beginning of Race 2 and did not get a good start at all, shuffling me back around 24th or 25th into turn one. I was able to catch a tow from another rider and picked some pace up and tried to make some passes. Ultimately, I took too long to get through the slower riders in front of me, and the racers I felt I should’ve been competing with cleared into the distance before I could tag along. But again, I came off the track very happy with what I was able to accomplish. I crossed the line in 20th position and had a gap to the next rider behind me. I am still in the hunt to earn some points this year but I truly am getting closer every race. Every time I’ve been on the race track this year I have been able to improve and set a new personal best of some sort. Thanks to Jimmy Cambora and Raceworx. Thanks to MOTO-D for their support with tire warmers and stands. MotoLiberty has me wrapped in a great Taichi leather suit and gloves, grouped with the super comfortable StyleMartin boots I picked up a couple weeks ago. The best of the best Arai helmet is what I put on my head to give me the confidence to push to the limits every time I am on my motorcycle, because I know I will be protected!" Sometimes you can work days, nights and even weeks preparing for the next race weekend. It seems like no matter how hard you work, you always need to carry just a little bit of luck on your side. This was a weekend just of that. With a great baseline and previous finishes in years past we rolled into the weekend with some confidence in the whole program. The cross training in between race weekends has been nothing short of good, mental preparations were in check and the pre race weekend excitement was in full swing. The team moved on to mounting tires and proceeding with the final touches to get ready to go for practice. On Friday I would get to touch the circuit twice aboard my Motohana Racing/Raceworx backed Yamaha R6. Road America is one of my favorite circuits, with a blend of flow, speed and precision. There’s nothing more fun then to be flat out wide open thru a deep forest of trees, popping out and then sliding sideways into a turn. The first session I got an early start and after a couple of laps made a few pit stops for some minor changes, we would end the session 11th with a time of 2:24.677. Session two, AKA “qualifying 1” was a better session as a whole. We went in with a plan and stuck right to it. We pushed hard early in the session continued to hone our setup. As the session dwindled down, we threw another tire at it and remained determined to make something out of it. We posted our fastest lap of 2.21.880 9th overall in the super sport class, 1.7 seconds off the podium. Sunday morning came, we used old tires, fined tuned the set up and managed to take the bike .6 seconds faster than our fastest time yet. With the confidence and calmness from before we lined up and prepared for battle. At the start I found myself in 9th. Knowing the race has barely even started I remained patient to make my passes. Going onto the back straight I began to notice a problem with the bike. My shift points were coming sooner, my revs were going higher and the lead pack was stretching from me fast. I retired from the race after one lap with a mechanical and would receive my first DNF in many years. This all just goes to show, no matter how well prepared you may be, there’s always those hidden problems that may arise. We all just need a little bit of everything in our bag including some luck on our side! As we roll forward and put this weekend past us we have the famous Laguna Seca in our sight. The team and I are more eager than ever to get back on the racetrack. This year would not be possible with out the continued support from all my family,friends and sponsors. I look forward to some fun times as we head west! See ya at the line!! 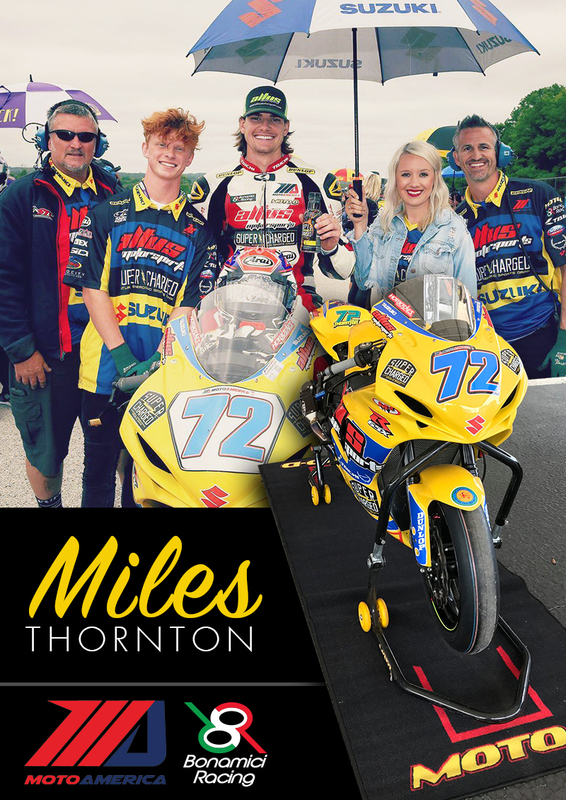 Huge Success for Ashton Yates riding in two classes, "2nd place Saturday and a win Sunday in the Junior Cup 300 Class at Road America. Unfortunately in Supersport, I had a mechanical problem in both races fighting for a Top 10 spot but I am happy to be headed to my favorite track in a few weeks with this kind of momentum. Thanks to everyone in my corner." Andrew has just rapped up his first test at Suzuka which went very well. He feels like he learned the track and the bike. He is very happy with the 10 point lead in the championship. Unfortunately Fernando Silva couldn't race RoadAmerica due to some ligament damage which occured from an incident at VIR. Silva is hoping to make it back in time for Laguna Seca. Best Of Luck Fernando! 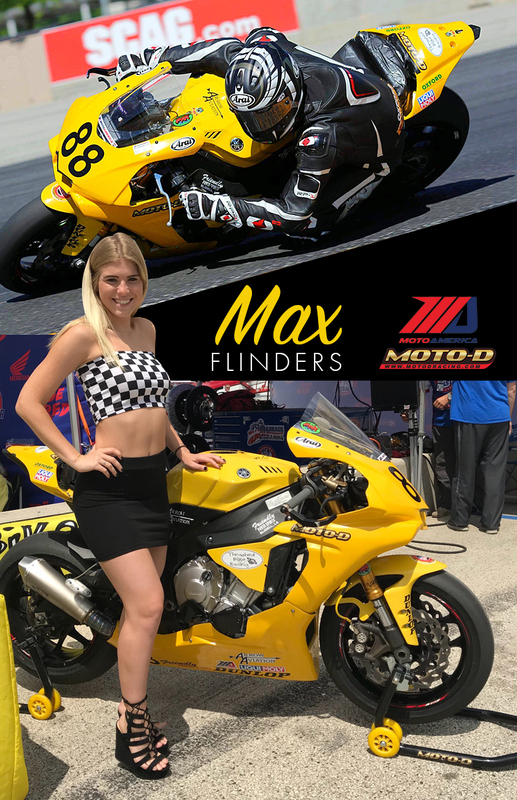 The old adage about "don’t change to much too soon in racing" together with "test, test, test then race" was certainly ignored by the Max Flinders team as they hurried to improve performance and put a competitive bike n the grid for round 4. New cams, new motor, new ECU, new wiring loom, new meter, new tires all added up to a frustrating start to the weekend for the smallest team in the paddock. The start of issue was that the new YEC 2018 race loom, ECU and meter gave a fault showing an issue with the electronic steering damper (which isn’t fitted in favor of an Ohlins unit), both with or without the resistor the fault continued to show. Unfortunately whilst this is present you cannot set up the race dash and the electronic aids as well as the quick shift will not work. We found a quick workaround by fitting the 2015 meter and we now had some aids but still no quick shifter. This is how Max went out to qualify also with the new profile (higher) Dunlop Slicks. The lack of quick shifter hurt his times a little and Max managed a 2:18 to qualify on the fifth row of the grid. Decisions had to be made before race one, so it was decided to swap back to the 2017 YEC loom and with a borrowed ECU from Westby racing (we have the same spec for the engine build) we put it back together with a working quick shifter. Final practice was the only time to try out this set up and we soon found out that Mathew Sholtz and Max do not have the same riding style which meant we had to change a lot of the traction control settings etc….! So without a strong final practice Max was sent onto the grid running a little blind. The final straw in race one was the clutch burning up off the start line with Max limping into the pits after only 3 laps as the bike had lost all drive over 11,000 rpm. The clutch was a quick fix and with the addition of some Liqui Moly race oil we soon had the bike running again. With a 15 minute morning warm up we put a few laps on the bike to check the clutch and then had to go and race. We still had the borrowed ECU which we don’t think was giving the power that we know the engine can make so Max had to do his best and go for the best finish he could manage. A reasonable start saw him settle down into 14 th place which changed to 13th before the end of the race. Lots of challenges with lots of help from many people so thanks to our sponsors MOTO-D, Liqui Moly, Arrow Aviation, Arai Helmets, Friendly Powersports, Bonamici Racing, Oxford Products, Spark Exhaust Technologies, Moto-Tech and a big shout out to Westby Racing, Scheibe Racing and Chris from Flashtune. 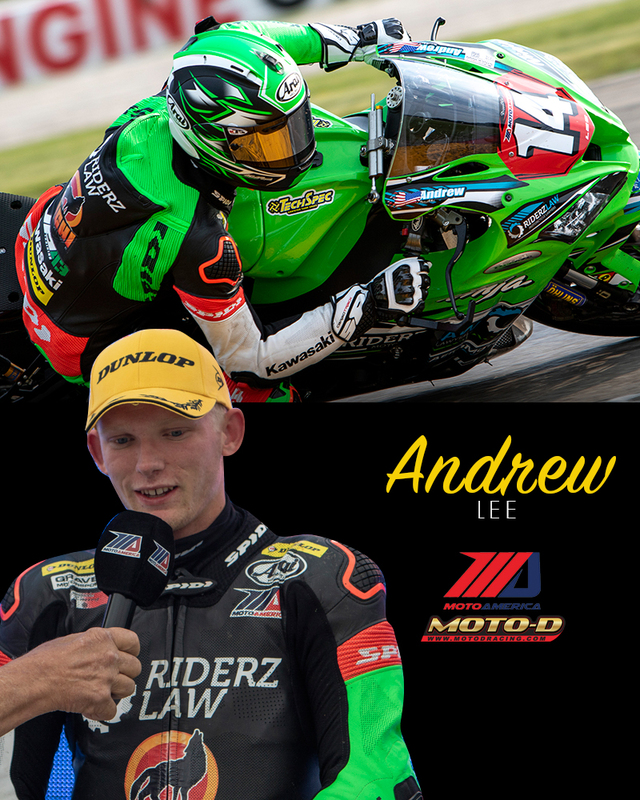 The next round for MotoAmerica is June 22-24 at Laguna Seca Raceway in Monterey, California. Learn more about MOTO-D Performance Riding Sportbikes parts and accessories including MOTO-D Tire Warmers and Stands, Bonamici Racing Rearsets and Levers, IRC Quickshifters, and Spark Exhaust Technologies.